I saw the Sketch For You To Try (SFYTT) challenge over at the i heart 2 stamp blog earlier today while I was browsing and thought it would be a fun one to participate in. There's a new sketch once a month and I figured I can handle that. Talk about waiting until the last minute to join in - I have 4 hours to submit this card. Type fast Linda! Such a sweet, pretty card Linda! Perfect Easter Blessing card ! Oh my love the colors on this one Linda! 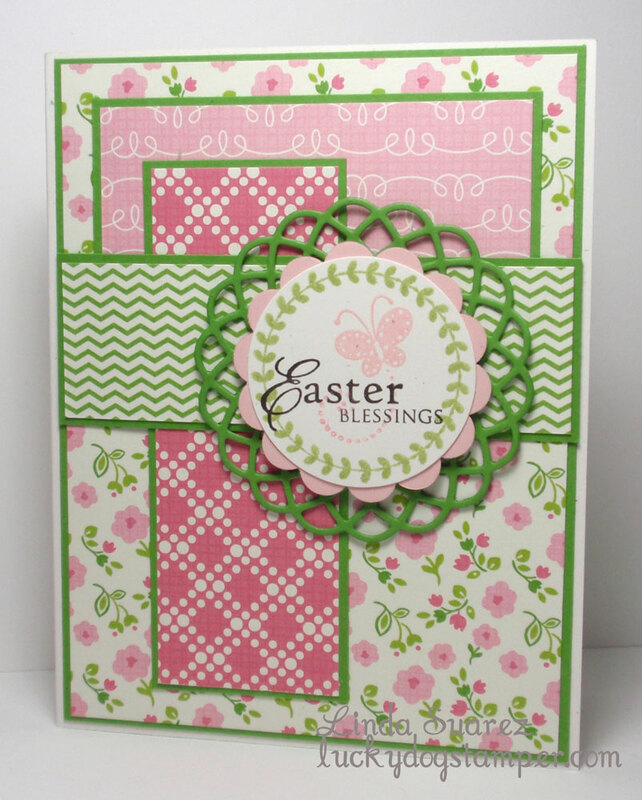 And already starting your Easter cards!